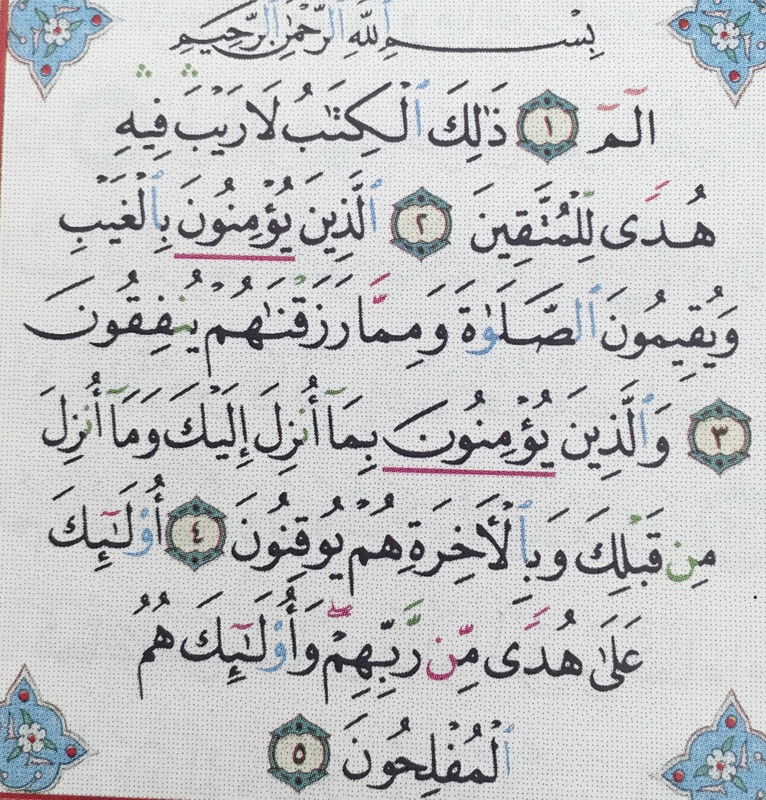 Surah Baqarah was the first surah to be revealed in the Medina era after the hijra. It is the 87th Surah that was revealed. It is the longest Surah of the Quran, some parts were revealed in the later Madina era. The verses that deal with riba/interest are some of the last verses to be revealed. Surah Baqarah was revealed over ten years. The Prophet (pbuh) lived for approximately ten years after the hijra. Surah Al Baqarah was not revealed in one go, it was revealed gradually. All together it took 23 years for the whole of the Quran to be revealed. 13 years were in the Meccan era before hijra and 10 years were in the Medina era after the hijra. 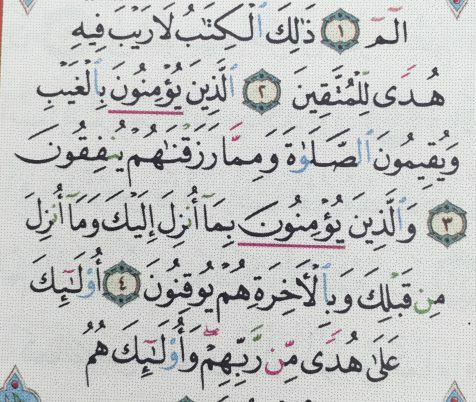 Some people spend up to seven years just learning and absorbing this Surah. In the time of the Prophet, they took time to learn and absorb the message that was in Surah Baqarah. 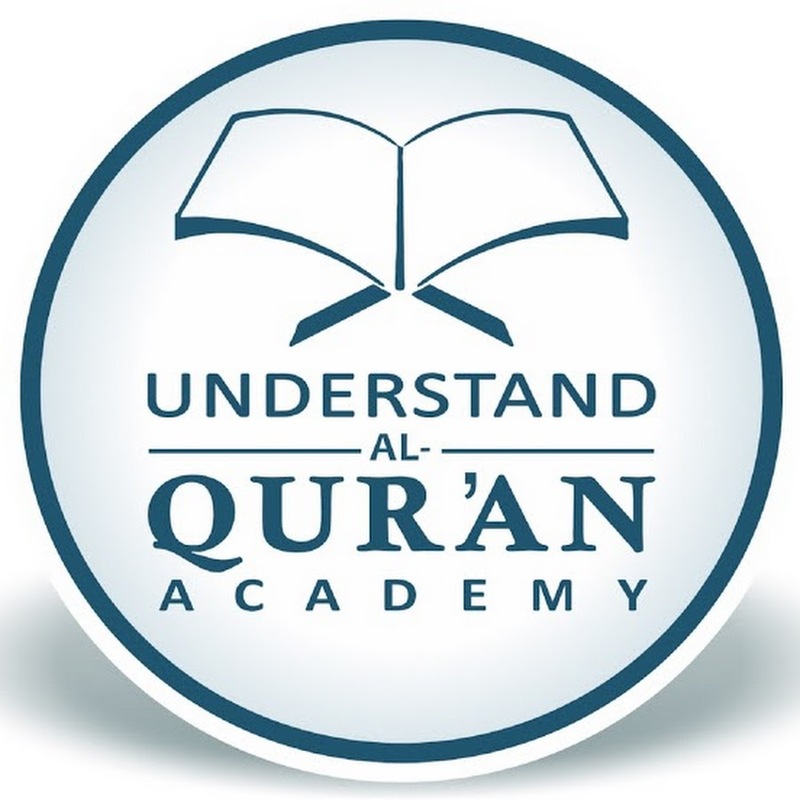 The Prophet (pbuh) said, read the Quran because it will intercede on behalf of its people on the day of resurrection, read the two lights, Al Baqarah and Imran, because they will come in the shape of two clouds, or two shades, or two lines of birds on the day of resurrection and will argue on behalf of their people. We see the importance of these two surahs, they will come shading people on the day of resurrection and they will intercede, they will argue on behalf of those people who recited and learned them. The Prophet then said, read Al Baqarah because in having it there is a blessing and in ignoring it there is a sorrow. In another hadith, in the collection of Imam Ahmed, the Prophet said, on the day of resurrection, the Qur'an and the people who use to implement it will be brought forth preceded by Surah Baqarah and Imran. Proceded means that Surah Baqarah and Imran will be coming in front of these people. Again we see the importance of these two Surahs. In hadith Sahih Muslim, the Prophet said, do not turn your houses into graves, verily Shaytan does not enter the house where Surah Baqarah is recited. What does Shaytan do when he enters the house? If we recite Surah Baqarah, Shaytan will not enter the house. You can do both you can recite the whole surah or in parts. The Messenger of Allah (pbuh) said everything has a high peak and Al Baqarah is the high peak of the Quran, whoever recites Surah Baqarah at night in his house Shaytan will not enter that house for three nights, whoever recites it during the day in his house then Shaytan will not enter into that house for three days. ا لٓ مٓ They are not joined together so we cannot say alam, we have to pronounce each letter separately. When you hear the Qari reciting the Quran you notice he extends the lam and the meem. We don’t know because the Prophet (pbuh) never interpreted them. There may be interpretations that exist but the main source to whom we turn is the Prophet who explained the revelations revealed to him, he did not interpret these letters, but we gain 10 rewards for each letter of the Quran that we recite. Alif Lam Meem would bring 30 rewards. These letters are secret to Allah only, we don’t know their meaning. This is the book about which there is no doubt, a guidance for those who are conscious of Allah. ذَٲلِكَ ٱلۡڪِتَـٰبُ this is the book. Allah gives the guidance that we ask for within this book, he shows us the path we were asking from him. This Book, the Quran is in the seventh heaven prescribed on a preserved tablet in the highest place, and a second copy is with the angels. The third copy of this book is with us. What is the quality of this book? We should read this book to give us the answers we are looking for. It will give us contentment and peace. When you are in doubt, you are troubled and not at rest, this book brings you peace. Whatever is in it is one hundred percent truthful. Allah revealed it in truth. Nobody has been able to disprove this book. Nobody could challenge this book or bring a book like this. The first quality of the Quran that is mentioned is that there is no doubt in the words of the Quran. There is no doubt that this came from Allah and there is no doubt about any of the contents of the book. Why is this said immediately when we open the Quran? When we read it we should be convinced, we should have conviction. And if we have conviction about something, we will act upon it because we don’t disbelieve it, we are convinced about it. So with the Quran, we can be convinced that nothing in it can be wrong as everything is from Allah and everything in it is as exactly as it says. No other religion can claim this of their religious books. If we compare what we know of other divine books in other religions we can see this. The Bible, for example, there is a lot of material that exists in the bible and the many contradictions that exist within one copy of the bible and then within the different copies of the bible. And the bible is not read in its original language. These are all things that bring doubt to the mind, yet with the Quran, it has been transmitted over the generations exactly as it was revealed with no change whatsoever, and this is something that we can be convinced about. No other author, no other book can claim this at all, this is exclusive to the Quran. Also, science confirms this as well. There was no science at the time of the Prophet (pbuh) no laboratories, no experiments, yet the verses of the Quran talk about botany, it talks about physics, it talks about astronomy, it talks about physiology. How could the Prophet (pbuh) have known this fourteen thousand years ago? Everything that scientists have discovered now is built upon generations and generations of research. It took many generations for science to reach the point that it as, and yet it is already there in the Quran, again a proof that we should believe in this book with conviction. In the Quran Allah mentions about the heavens and the earth, they were a joined entity and we separated them. We hear theories of how the heavens and the earth was a big bang and this is how the earth became the way that it is. This is what is already recorded in the Quran. The fact that galaxies are constantly unwinding or unraveling, this is something that science has now reached a conclusion. In the Quran in Surah Al Dhariyat Allah says, and the heaven we have constructed with strength and indeed we are its expander, so Allah mentions that he is expanding it, something that scientist very recently discovered. Next, If we look at the style of the Quran and the style of the Hadith of the Prophet (pbuh) there is a difference between the two, the form of expressions, the words that are chosen, the manner of the Quran and the Hadith are totally different. It cannot be possible that one man could have said both of these things from himself. We can say with confidence to those who ask us about the Quran, there is no doubt in it whatsoever. You can read it, you can study it, you can take from it with a completely open heart. Allah says in this verse لَا رَيۡبَ‌ۛ فِيهِ no doubt in it هُدً۬ى لِّلۡمُتَّقِينَ a guidance for those conscious of Allah. Allah said this book is a guidance. But for who? For the mutaqeen, those who are conscious of Allah, those who are careful in what they do because they know that Allah watches them. They are conscious and careful to follow the commands of Allah. They safeguard themselves from sins out of the fear and punishment of Allah, this is the definition of Taqwa. Allah guides everybody. He has opened the way for everybody to get the knowledge but it is those who take action and safeguard themselves and take the guidance, it is those who are guided. If a person has more Taqwa they will get more reward so, therefore, Allah will guide him more. It is an ongoing cycle, the more Taqwa they have they will be increased in guidance, and this guidance will increase the level of Taqwa and more guidance will come to you. There are some who may say, this person has read the whole Quran but there is no change in him he is a big scholar but we don't see any action – so what is the problem? tawfiq (the ability to act). It is not the Quran but the person themselves. Allah gives us both guidance and the ability to act upon the guidance but, some people read the Quran and nothing changes. We can understand this by the example of two lands. We take the same seed and plant it on the two lands, one grows crops and the other stays barren. The problem is not with the seed but with the land. We have to have the knowledge and tawfiq, the ability to act upon that knowledge. Whoever reads this book with only the intention of gaining knowledge, then that is all they will get, but if they come with the knowledge for guidance and tawfiq they will get it. There are different intentions. Not everybody reads the Quran to get guidance, many just read for reward, some read it just to show off, and non-believers have their own intention. Some orientalist read the book to disprove it and some read it just for the knowledge. So who are the mutaqeen مُتَّقِينَ in their qualities? in their characteristics? How can we recognize them? Allah mentions in the next verse. Those who believe in the unseen and they establish the prayer and they spend out of what we have provided for them. لَّذِينَ يُؤۡمِنُونَ بِٱلۡغَيۡبِ They believe in the unseen. Their belief, is something internal, just as Taqwa is something internal, the consciousness of Allah is something that is internal. And they believe in the unseen. Ghab - is a general unseen, it is what we cannot see, for example, who is in the room upstairs. Ghab غَيۡبِ unseen, is anything that is beyond our senses. All the things that are hidden from us. Allah says here, The Ghab ٱلۡغَيۡبِ there is an alif lam ٱلۡ in front of the word. The alif lam is specifying, it’s making the word specific. We are not talking about any unseen we are talking about something specific, so they believe in what? Does Decree Good and Bad belong to Ghab? Yes, decree is to do with the future, and we do not know what is going to happen in the future, it is the unseen. It is a true test of faith, we have to believe. The quality of a mutaqeen is they believe in the unseen. We cannot see Allah who is unseen. Without the belief in the unseen, we cannot gain the guidance because Allah tells us هُدً۬ى لِّلۡمُتَّقِينَ this is a guidance for those who are conscious of Allah. If we want the guidance the first quality to have is to have belief in the unseen. وَيُقِيمُونَ ٱلصَّلَوٰةَ and they establish the prayer. Emaan/belief requires physical signs, physical evidence of that belief, and the prayer is that physical evidence. When the prayer is not prayed correctly, when it is not prayed as it should be, it is an indication that the belief needs to be made firm for the outward signs to be corrected. For example, you have a plant, if the plant had very weak roots, the plant would not be strong. If the roots are weak and you're trying to fix it and stand the plant up, it is still going to be weak. When the roots are firm when the emaan is firm, then the plant will grow strong and tall, and it’s the same with the salah when the basic emaan the belief is firm, then the prayer is correct also. Then the physical signs of that emaan are also as they should be. They establish the salah by fulfilling its conditions and its pillars. So what are the conditions of salah? when they pray they give each pillar its right. In Hadith, a man came to the masjid and he started praying, and after he had finished praying he went to the Prophet (pbuh) and he said salaam to him. The Prophet said to him, go and pray for you have not prayed, the man went back to the prayer area and prayed and he came back to the Prophet (pbuh) and said salaam, the Prophet replied to his salaam and told him to return and pray for you have not prayed, and this carried on for several more times until the man asked the Prophet to teach him how to pray. The Prophet taught him and he said, Bow until you feel at ease this is the ruku position, until you are at peace, you have contentment, then raise your head until you are standing straight and wait for a while, then prostrate until you are at ease, then rise until you are balanced and are at ease in the sitting position, then raise until you are standing correctly, and to do this in your whole prayer, meaning giving each pillar of salah its right, its time, not rushing each one, this is also part of establishing salah. What is the meaning of salah? Prayer, this word prayer can be done in many ways, to pray at any time anywhere, whether you're on a chair, facing any position, lying down etc. Some people try to explain Quran through the dictionary, and they say because salaat means prayer, you can pray anywhere, anytime, but it is As Salaat, it’s a ritual prayer. The Prophet (pbuh) said pray as you have seen me pray, so it means we cannot fix the meanings of Quran from a dictionary. A dictionary can help us, but a dictionary is not the source for learning our deen. As Muslims, Prayer is a priority in our lives, not that everything in the day is important and we fit the prayers in somewhere, but that the prayers are the main thing in our day, around which the rest of our day is then planned. We know the time for dhuhr, we know the time we have to pray it, so we make sure we plan our day so we can pray it correctly, and on time. وَمِمَّا رَزَقۡنَـٰهُمۡ يُنفِقُونَ and they spend out of what we have provided for them. رَزَقۡ Rizq, is translated as a provision. They spend out of their wealth, they spend for the sake of Allah. Allah says in the Quran, and indeed he is in love of wealth intense. Allah describes Mankind to be intense in his love for wealth. Those who are mutaqeen they spend out of what provision that Allah has given them. رَزَقۡ It is not just wealth, it is also any other possessions that they may have which is dear to them, and those who are مُتَّقِينَ they share from these things, they give from those things that are dear to them. Rizq can be divided into two aspects. Provisions that are Tangible and provisions that are Intangible. Tangible means those things you can touch like a possession you may have, these are things you can touch and see, food is a provision, a house etc. Intangible means those things that you cannot see and touch, but they are still a provision from Allah. Intangible things like knowledge, the deen of Islam, it is something there but you can’t touch Islam but it is there, it is a blessing, it’s a provision from Allah. And those who are مُتَّقِينَ those who are conscious of Allah, they spend from all of these things, they spend from all of the provision Allah has given to them. They have emaan and give from what Allah has given to them. They spend from any beneficial thing Allah has given them, they spend it on others, their wealth, their time, talents, the knowledge etc. Zakat Wajebah – Zakat which is compulsory, a person who falls under the conditions of giving zakat. 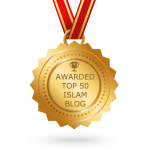 Asadakat Mustahabah – Charity which is liked. This is done out of a person's own will, for example giving to the poor, the needy, donating to a masjid or institutes etc. Nafaqat Lazeema – Spending which is necessary, which is a responsibility upon a person, this is basically how a man spends on his wife or his children, it is necessary for him, it is his responsibility. Also when a man gets married, he gives the dowry. There is no extravagance – when you give you do not give everything that you have and leave nothing for yourself and family. You do not hoard - no stinginess, meaning you do not give anything at all. Moderation – give in moderation, spend on yourself and your family, spend on others, spend in the way of Allah, in a balanced way. The amount that is spent can be something small, it does not mean that it is necessarily huge amounts that is spent, something small done with the right intention is enough for the مُتَّقِينَ. What are some of the things we could spend? Our time is something that is intangible, but it is something that we have all been given. Giving good advice is a form of spending. We could be stingy about given advice when someone asks us, we could be stingy and choose not to tell them. To spend on something like this is also spending from the Rizq the provision Allah has given you. To show good akhlaq, good character, this is also to spend. How do we come to the conclusion that to show good character is also to spend? The Prophet (pbuh) said, to smile in the face of your brother is a charity. We normally see charity as something that is monetary but the Prophet said to smile in the face of your brother, even this is charity. This is spending from the blessings Allah has given. When we spend we don’t lose out, we actually become richer, we become very rich in deeds. Allah says in the Quran, whoever comes on the day of judgment with a good deed will have ten times the like thereof, one good deed will be worth ten times thereof. And those who believe in what has been revealed to you, [O Muhammad], and what was revealed before you, and of the Hereafter they are certain. وَٱلَّذِينَ يُؤۡمِنُونَ بِمَآ أُنزِلَ إِلَيۡكَ And they believe in what has been revealed to you. And what was it that was revealed to the Prophet? There are also commands we have to follow that are only found in Hadith and not Quran but we have to follow the Prophet وَمَآ أُنزِلَ مِن قَبۡلِكَ and what was revealed before you. This refers to all that was revealed to previous Prophets, their books, Injeel, Gospel, Torah, the Psalms, Scriptures. We see that the mutaqeen are those that are open-minded. There’s a vastness, there’s an openness, the belief in all of the previous Prophets sent by Allah and the divine books that were given to them. The people of the book the Jews they believe in Musa (as) but they do not believe in Isa (as) and Muhammad (pbuh), they only believe what was revealed to Musa (as) and they don’t believe in other Prophets and revelations. Christians they believe in Musa (as) and Isa (as) but they don’t believe in Muhammad (pbuh). Whatever was sent to all the Prophets we believe. Why is it necessary to believe in the previous Prophets and the previous books? Those Prophets, those divine books were also sent by Allah and there is a sense of continuity, from Prophet to Prophet, from divine book to divine book until the final Messenger and the final divine book the Quran. وَبِٱلۡأَخِرَةِ هُمۡ يُوقِنُونَ and of the hereafter they are certain. يُوقِنُونَ uqeenoon, they have conviction in the belief in the hereafter. They believe in the angels of death, they believe in the life in the grave, the angels Munkar and Nakir will come and question them. They believe that the horn will be blown on the Day of Judgment, they believe that everybody will be gathered to the plain of gathering. They don’t just believe, they have conviction, they are convinced that this is going to happen exactly as it says in the Quran. يُوقِنُ uqeen, the conviction is the highest level of emaan and the مُتَّقِينَ have that highest level of emaan where they are convinced. They know what their ultimate goal is, they know what their ultimate destination is, they are upon siratul mustaqeem, upon the straight path, and to go upon that path, these are the qualities that they need, these are the qualities that they have, and they know their ultimate destination. Uqeen, is to believe without a doubt, you are certain that it is true, there is no doubt in it. Your heart is at peace when you believe in it. The literal meaning of خِرَة is last, here it means the last day. Right after a person dies they believe in all what will happen in the hereafter, the grave, the bridge Sirat, standing on the day of judgment etc. If they believe in all of this then their actions will change as they begin with the end in mind. Have a destination in mind then you will be more focused to reach that destination. If you drive a car with a GPS system before you start a journey you would set your destination, then you start driving, so always you know where you are heading, you know exactly where you are going and it is the same with the mutaqeen. Or even if you do not have a GPS when you get in the car you still know where you are going, you have a set destination in mind. When driving, what are you doing? Are you fixing yourself in the mirror or drinking some water while you are driving? We would not do this because we would lose our concentration, we could get into an accident. When we are driving we have to be careful and concentrate, to look out for traffic lights, know when to turn the wheel. This is an example of the mutaqeen, they have a goal a destination and on that route they are careful, they have consciousness they concentrate, they focus on their lives because they know they want to meet that ultimate destination in one piece, they want to reach paradise. The straight path they are traveling needs that concentration and it needs that focus, and these are the qualities that the mutaqeen have. The successful ones ٱلۡمُفۡلِحُونَ Al Muflihoon means complete success. There is no success in dunya that is a complete success, it can always be taken away from you, Everything has a limit in this world. You cannot live forever in the dunya, you can have enjoyment in the dunya but that has limits too. You cannot go beyond that limit. As humans we have something in us that makes us unsatisfied, we always need more, we want more shoes, more cars, more food but we don’t have the capacity to enjoy them all at the same time, everything here is within limits but in paradise this is complete success, and its vastness has no limits. To be saved from the hellfire, this is the success of the mutaqeen, the muflihoon; and these are the ones that are upon guidance. They have achieved their goal in dunya, they got the knowledge to guide them to Jannah. as salam.I am a doctor in bangladesh.I want to study quran.firstly surah baqara.your writing impressed me to motivate to study details though I have no knowledge. would you help? Alhamdulillah, happy to know my notes have motivated you to study the Quran. I learned the Quran studying online and also attending some classes at my local masjid, but most of my learning has been online. 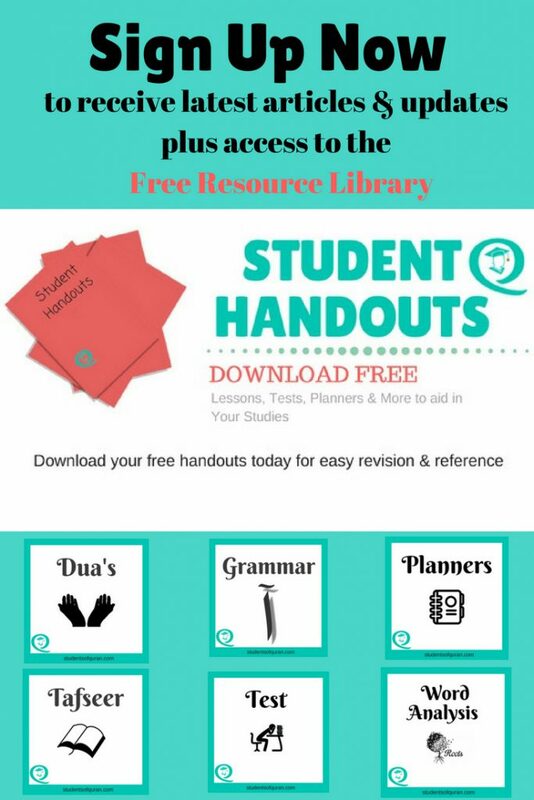 I have listed all the online learning institutions I attended within my article My Journey Islam If you would like to study Surah Baqarah in-depth I would recommend Al Huda Institute they have many programs in English and Urdu. The course I studied was Taleem Al Quran. However, if you are not able to study online I would recommend you visit your local mosques or Islamic centers and ask about classes. Make dua, I am sure you will be guided to find what is suitable for you. I hope I have been of some help.